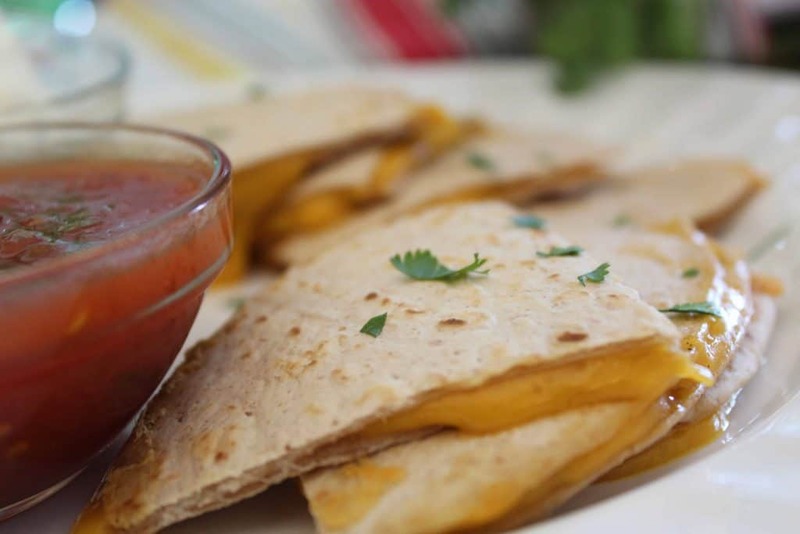 Quick and easy Cheese Quesadillas are perfect for a snack, appetizer or entree! 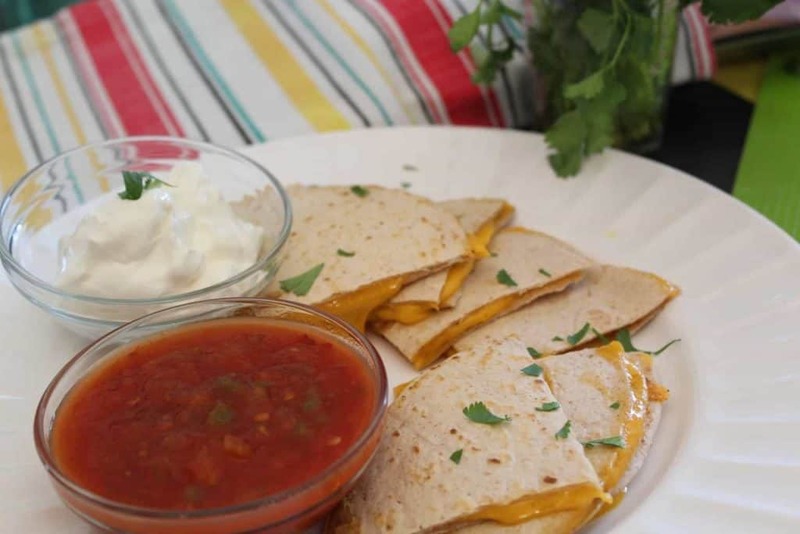 Learning How to Make a Cheese Quesadilla was one of the first recipes I taught my daughter and it’s been her “go-to” homemade snack ever since! A quesadilla is loosely translated as “cheesy Mexican pastry”, but don’t be fooled by this simple definition. In America, cheese is the primary ingredient and ranges from Monterrey Jack cheese to Mexican cheeses, including Queso Cotija, Oaxaca and Asadero. However, in Mexico City, most quesadillas do not include cheese; the “quesadilla” or tortilla is simply a vessel for getting juicy bites of meat or chicken into your mouth sans fork. 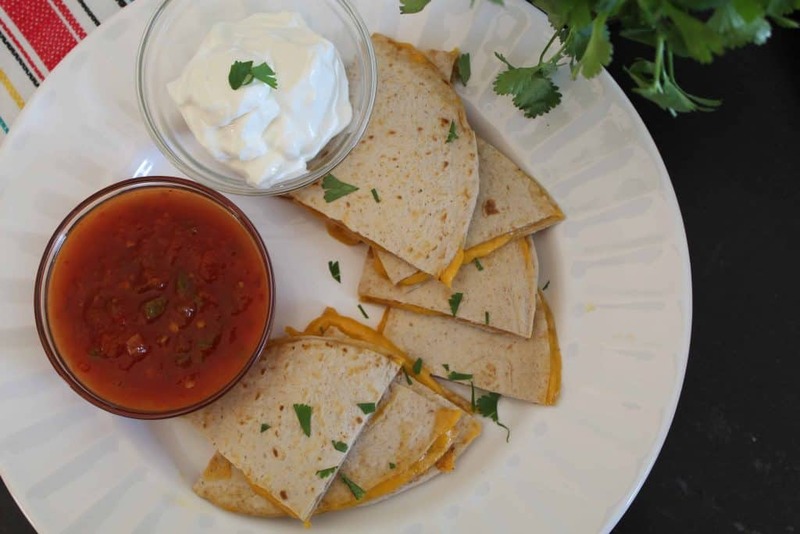 These quesadillas can be loaded to the brim with all sorts of delicious ingredients like chicken, beef, pork, beans, avocado, tomatoes and more. This recipe is a basic, beginner’s recipe I hope you’ll share with your children or grandchildren. It’s never too early to introduce kids to cooking and this recipe (with adult supervision) is a perfect starter! What’s The Difference Between a Burrito and Quesadilla? A quesadilla is two tortillas that are grilled flat, with meat and cheese in between the tortillas; a burrito is one tortilla that is filled with ingredients, then rolled. Should I Use Flour or Corn Tortillas for Quesadillas? Generally, quesadillas and burritos are made with flour tortillas because they hold up better (due to the gluten); however, some tacos and quesadillas can be made with corn tortillas, provided that the ingredients are not oily or bulky; corn tortillas tear more easily than flour, so that’s why flour tortillas are most often used for burritos and quesadillas. Flour tortillas do contain gluten; however, there are a few companies that make gluten-free ‘flour’ tortillas. Rudi’s Bakery and Mission Tortillas both offer a line of gluten-free tortillas that are potato based. Looking for another easy recipe for beginners? Check out How to Make the Perfect Scrambled Egg!